So here is the moment that many of us were waiting for, the release of our casual conversation with Author Anna Todd. Anna is the author of the ever so popular After series. As readers go through a mega rollercoaster experience of the relationship between Hardin and Tessa, you really can't stop reading! Not only does the release of this casual conversation come on the release of the last book in the series, After Ever Happy, it's also Yara's birthday. So be sure to show her some bookish love in the comments sections and let us know what you think about the casual conversation. It's never too late to get started on the series! 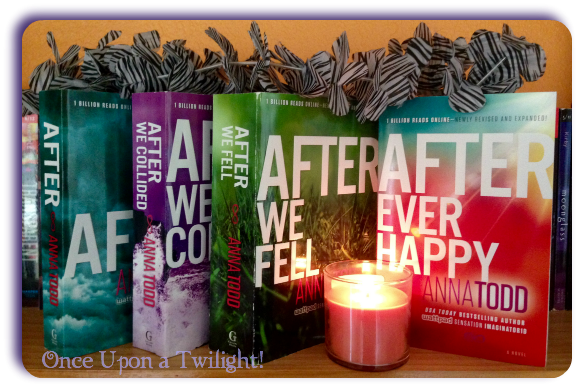 Listen as OUaT and ALM team up to bring you all the awesome happenings of the, Anna Todd. Choose the below listening platform that works best for you.